When the clatter of life presses in, I step through that stadium opening and every worry fades in a sun-wash across my eyes. Like laundry bleached white, the day flaps in the breeze, bright and full of possibility. Rows of metal bleachers guard the perimeter, keeping watch with the outfield fence proclaiming, “Welcome to the friendly confines of Spurgeon Field.” A vintage late 1940’s/early 1950’s ball-field, Spurgeon was originally home to the Sky Sox, at the time an affiliate team of the Chicago White Sox. Between when the Sky Sox left town after nine seasons and then returned in 1988 as an Indians minor league team, the stadium hosted various levels of play, including my dad’s adult softball team. Dad left competitive baseball at the height of success after his senior year, a college-recruited pitcher who opted to study in his home town and marry his high school sweetheart instead. But he always loved the game. One of my sons now paces the same dirt he once claimed as home territory, the hot spot between 2nd and 3rd base known as “short stop.” My son is known for the same gravity-defying twists in the air and tumbles to the ground as my dad once was – physical safety is secondary to snagging that ball. At Spurgeon it’s easy to sink into the echoes of a simpler, gentler time. Settling in with friends, we yield to the rhythm of players moving on and off the field, with just enough streaks of drama to keep the warm sun from lulling me into an afternoon nap. In the sweet haze of sun and companionship, sometimes I half expect my Dad to step out of the dug-out, crooked smile gleaming under the shadow of a ball cap. After the Sky Sox moved to their current home, the Sky Sox stadium, in 1988, Spurgeon once again hosted various teams. It’s now home-field for my sons’ high school Varsity team. Palmer High School, the first high school in Colorado Springs, opened in the 1870’s, nestles downtown and lacks land space for a proper field; so Palmer rents Spurgeon from the city. Our oldest son debuted on the Varsity team late in the season of his freshmen year. 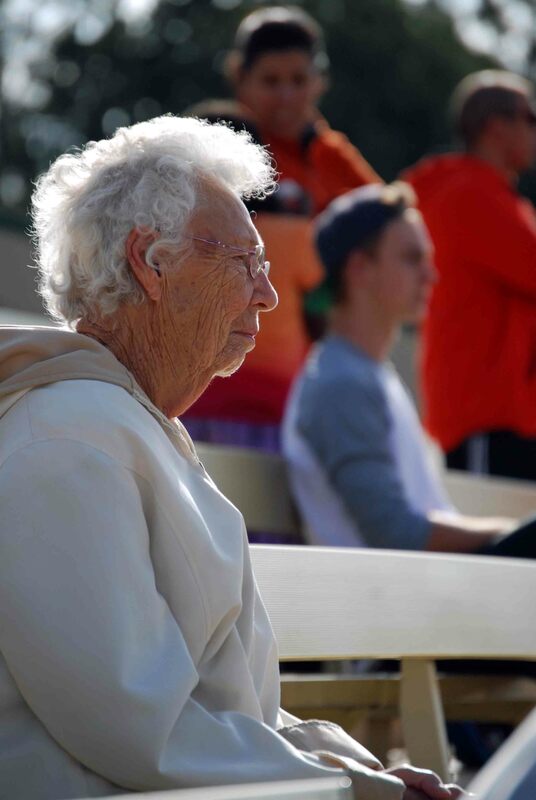 No less than nine family members lined the bleachers. We watched him “ride the bench,” cheering wildly when he was sent to recover a foul ball. Then, late in the game, the coach called him in to “pinch hit.” When our boy slammed the ball down the 3rd base line for a single, his fan base erupted. Recently our younger son’s competitive baseball team played at Spurgeon. My husband coaches the team. Some husbands drink. Some gamble. Some womanize. Mine coaches. There are times I feel frustrated with this other love of his, during evenings when his thumbs obsessively hash out game strategy with other coaches via text. Or weekends of receiving texts from him, posted from a dug-out in another city. But really, I can’t imagine a more worthy investment of his time and heart than into these kids. I know his belief in them and example of character on and off the field will shape them for the rest of their lives. Watching my husband coach first base and my son play ball at Spurgeon on a lovely spring morning with my Grandma and other kids, the world felt warm with peace and goodwill. Of course the world doesn’t go away just because of a baseball game. 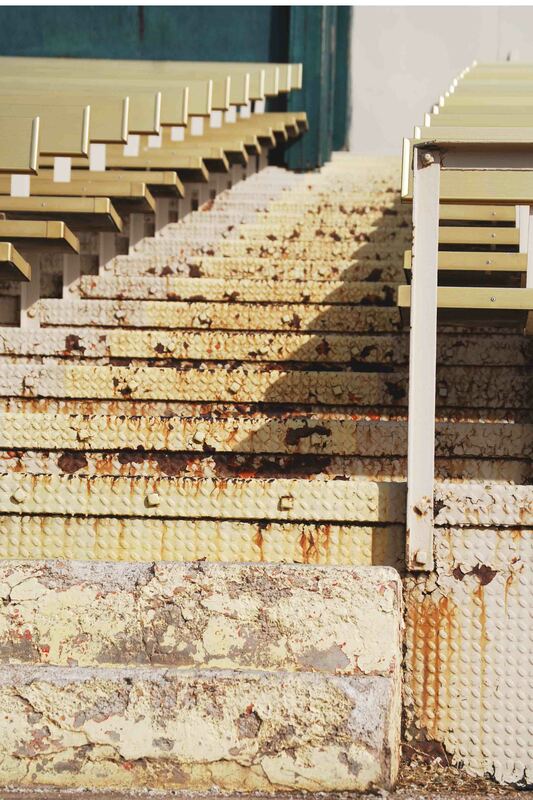 Violence, fear, and hunger perennially lurk around the edges; but for just a couple of hours, Spurgeon Field keeps it at bay with clunky, peeling-paint bleachers. And, occasionally, a batter actually summons the power to send a ball out over the top of the “friendly confines” of the outfield fence, like an invitation from a simpler, kinder time and place. Your mothering heart shines through Colleen! Have a lovely summer! I hope you have a beautiful summer Teresa! I loved your entries about memories of your children when they were young and your visit to the US to visit them. 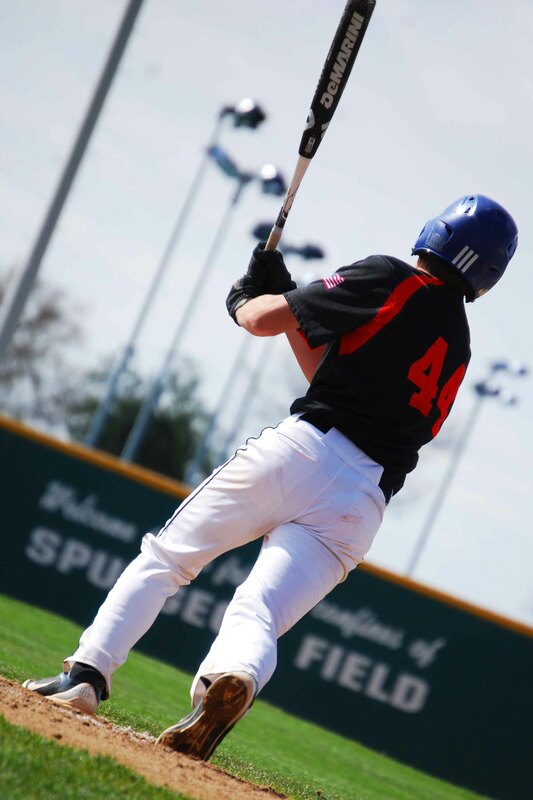 We wondered through many a sleepless night if our son’s dream of playing college ball would come to fruition, then careened around a u-turn as he recently and suddenly realized it wasn’t his dream after all. So glad this post could help you process your feelings. The emotions are very real – for us baseball has been community. We spend more time with the players, coaches and other baseball families in the heart of the season than we do close friends and family members! Very sweet times. Our oldest son went through a similar process of realizing during fall of his senior year that he didn’t want to play in college after all. We were fully supportive, but as you said, a u-turn of emotion. I can honestly say, though, two years out, that its even more joyful to stand on the sidelines of what he’s doing now – full of passion, excitement and even community. Hope that gives you hope!